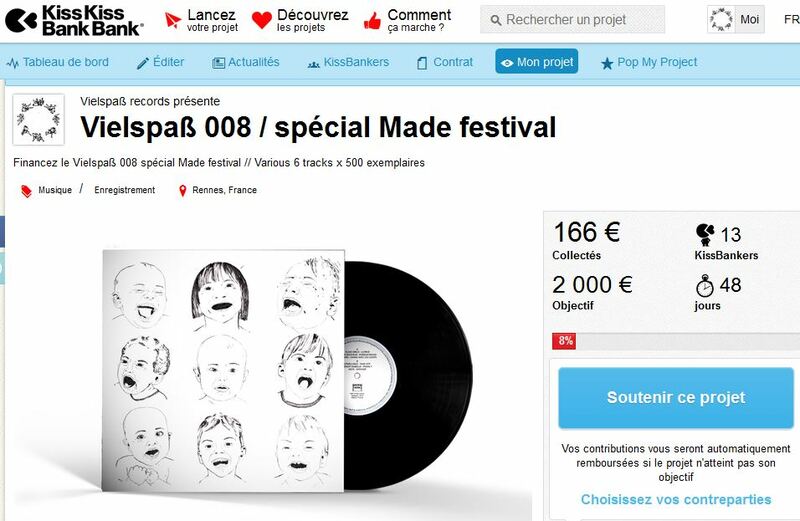 The next release is a 6 tracks EP lauched for the 1st edition of the MADE festival in Rennes (May 12-15). The tracks have been selected by Vielspaß and Midweek teams amoung more than 60 proposals.We are proud to support local productors when we see how brilliant were the tracks we received for the contest. Support us and receive many compensations.